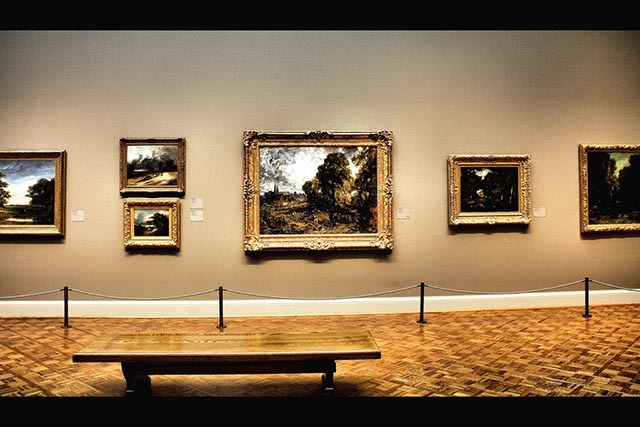 When you think of custom framing you think of painting masterpieces, you don’t envision them as a piece of canvas dangling in the air or partially curled on a table, you see them in your mind beautifully hung on museum or gallery walls. Custom framing brings that same stunning and memorable elegance to your home decor. Picture framing artwork and photographs can serve as focal points or accents to a room as they provide that needed finish to any piece. 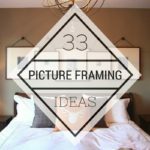 Decorating with framed pieces or even empty frames requires a bit of planning, a sense of aesthetics and a flair for creativity. Selecting artwork you like may come easily or may require agonizing for hours or days and the same can hold true for selecting the right frame. You find yourself face to face with so many choices for frame and mat colors, styles, size and materials that you may feel tempted to tuck the artwork or photographs away rather than make a decision. Fortunately, once you learn how to break down the process into manageable steps and utilize professional custom framing experts, you can get a feel for what works and eliminate your fear of frames. When selecting a frame for a single piece or an entire collection, you need to consider the style of the art and/or photographs. 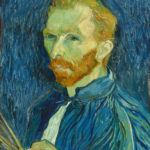 The sparse details of modern artwork will appear out of place in a gilded frame just as an impressionist painting won’t work in a contemporary frame made of steel or other metal. The frame needs to compliment the artwork or photograph, not distract from it so take your time when looking through custom framing colors, materials, sizes and mat choices until you find an appropriate match. 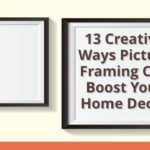 It’s not an interior design law that your chosen frame exactly matches your interior decor, but it should appear at home in the space and you can use custom picture framing to achieve the ideal appearance. A room featuring classic style and rich tones from wooden antiques is an easy fit for traditional frames around artwork, while metallic or similarly unadorned frames complement a contemporary room with clean lines. In this short video, Cris Sweeny owner of FrameWorks custom framing Miami explains how prints are face mounted on Plexiglass at their Valmar frame shop Miami location. A frame that’s too narrow becomes lost around a large-scale photo or painting just as a chunky, ornate, thick frame overwhelms a delicate painting or still life photo. Your chosen frame should balance the work your framing and with custom framing, you don’t have to worry about searching for the right frame through pre-made choices because you have complete customization control. Although many pieces of artwork or photographs can benefit from frames, not every piece requires a mat to appear complete. Mats tend to be more a personal preference choice than an interior design must and the best way to decide if you want a mat is by holding the chosen custom framing material and mat up to the piece. 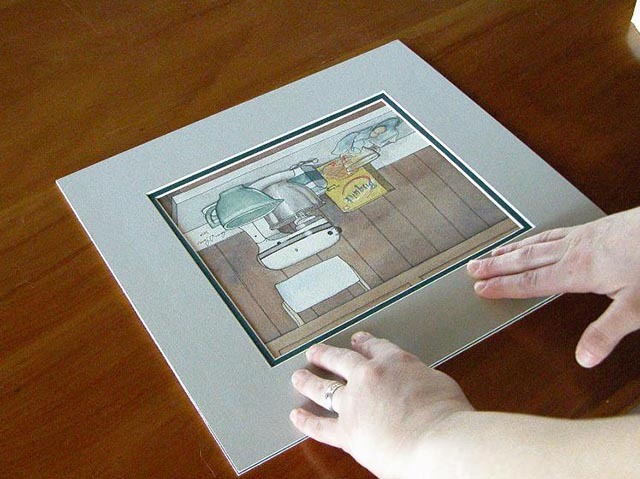 Artwork with a clean background may not require a mat whereas photos and paintings that need some distance between their colors and frame can benefit from matting. If you choose to use a mat for your piece, make sure it’s wide enough for the artwork or photograph. Any mat too narrow won’t properly set off the selected piece so a good rule to follow is select a mat at least twice as wide as the frame. A wider mat is also an option as long as it doesn’t swallow the art or photograph. Custom framing experts can eliminate the guesswork of mat width as they have extensive knowledge and experience framing all styles and types of art. 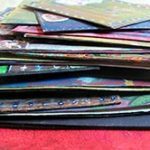 Classic white or cream-colored mats work well for most pieces of art and while the temptation exists to choose a trendy color, you may find yourself unhappy with it once the trend passes. For black and white photographs, pencil sketches, line drawings and monochromatic artwork, a black mat can create a striking effect. When choosing a mat of contrasting color, ensure the contrast is strong enough that the piece doesn’t disappear in darkness or become washed out in white. When you have a sentimental or valuable photograph or piece of original artwork to frame, the glass you choose makes a difference in the longevity of the piece. Museum framing with quality glass has a special treatment that blocks harmful UV rays that can cause fading and heat damage. Untreated glass traditionally costs less, but may be too heavy for a large piece and this makes lighter weight acrylic a good choice. Investing in custom framing allows you to choose the best type of glass for your artwork to ensure it retains its original beauty for generations. To keep artwork and photographs safe from fading, it’s best to limit their exposure to direct sunlight, no matter what type of glass you select. Even on a gallery wall, you don’t always need to hang everything in matching frames. The frame needs to match the artwork first and if a particular framed piece doesn’t seem to fit among others, find a better location for it and switch something else in. Having the piece finished with custom framing gives you the ability to find the right spot where it complements surrounding artwork and decor. Once you have your artwork or photograph set with custom framing, the next step of displaying it properly should be much easier and with the right attitude, it can be a fun process. 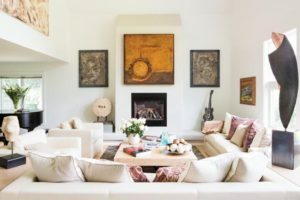 If you’re truly struggling with arranging your decor, you can hire an interior designer to display your custom framed pieces, but doing it yourself can be the best way to imbue a space with your unique personality and perspective. Single shot – When you don’t think a group of photos works in a space, try a large, single photograph or painting of a favorite landscape to create the feel of an additional window. Shelf or rail – Placing a large grouping of images or artwork on a shelf or picture rail makes it easy to switch up the display whenever you want without needing to pound more nails in a wall. 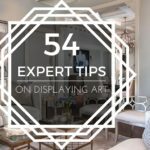 Mantel display – Mix framed photographs or paintings with other favorite decor such as candlesticks or vases on a mantel for a unique display that’s easy to rearrange. Improved view – Flat screen TVs hanging on a wall or on a tabletop have the convenience of not needing a bulky TV stand for support, but they’re not the most attractive focal point for a room. 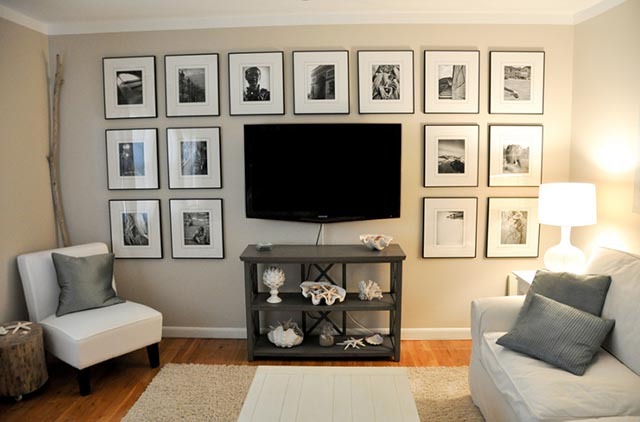 Change that by surrounding a wall TV with an arrangement of black and white photos in a symmetrical design that adds elegance. For a tabletop TV, hang framed artwork or photos behind the table to improve the view and balance the space. 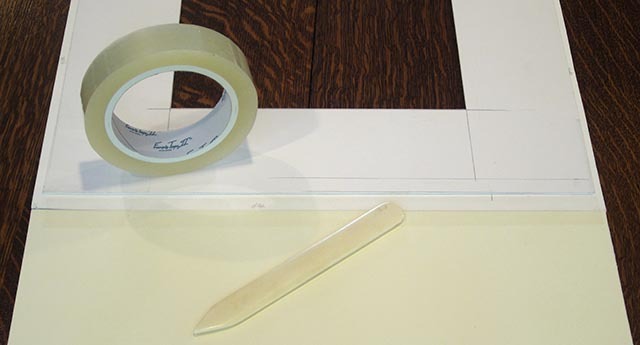 Similar but not identical – Framed photos or artwork of similar size or with similar but not identical frames in a grouping can have a collage appearance that you can add onto with additional pieces finished with custom framing. At FrameWorks our custom framing Miami team helps create nearly endless possibilities when you incorporate it into your interior design and having the right high-quality frame, mat and glass materials ensures that every piece endures. I like what this article mentions about the frames not needing to match. It makes sense that sometimes the picture will look better in a frame that compliments it rather than one that matches the others. It’s something I’ll have to remember when getting a picture frame because having it made to look good on the individual piece will be a good way to be able to adapt it to any room. My wife and I moved into a new place. We have been talking about how we need some new decorations to fill the space. I never knew that custom framing companies can provide custom mats to help contrast the art better. That’s something we’ll remember moving forward in our decorative process. I want to incorporate additional features and style to my home since I own quite a few pieces of artwork. According to the article, the style of art that is important to consider when selecting a custom frame. 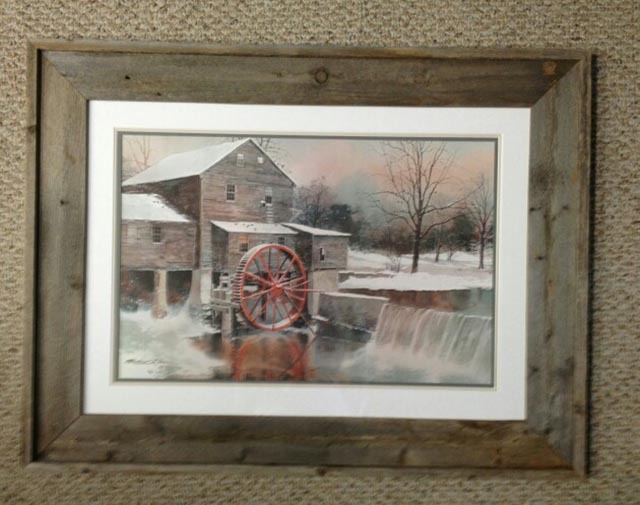 Would you suggest working with an expert in order to determine what type of framing would match certain pieces? I like how you said that placing a group of paintings or images on a shelf makes an easy way to switch up the display when you want without having to put holes in the wall. My husband and I are starting to plan how we want to renovate our living room space and haven’t figured out some of the finer points of the decorations. I really like your idea though because it will give us the opportunity to buy home decor accents like pictures, paintings, statuettes and things like that to put on the shelves to make use of the space that’s there. I have collected several art pieces over the last three years that all need frames. I’ve been incredibly intimidated by the process of creating custom frames for them (almost invariably they’re all strange dimensions and will require custom frames and glass). I really appreciated this step by step walk through. I especially appreciated the advice about matching the style of frame to the style of art. I think going to a professional will help even more to find a custom frame I’ll love as much as the artwork it holds.